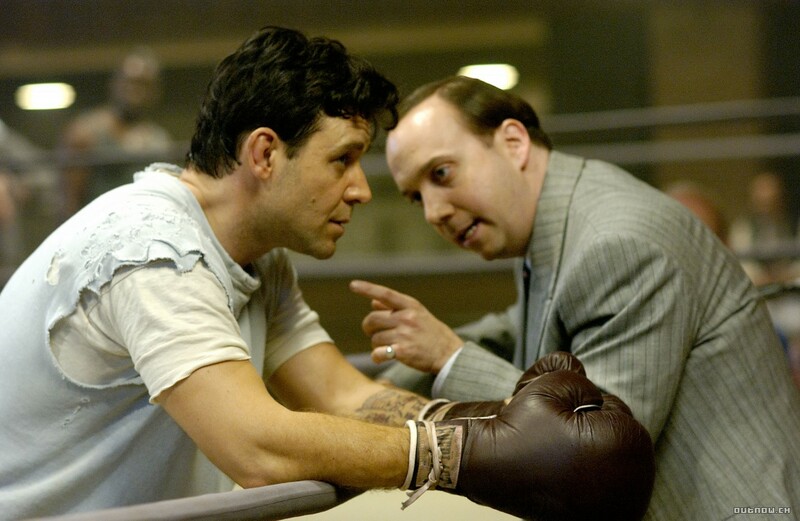 Based on the story of depression-era boxer James J. Braddock, Cinderella Man is an uplifting journey into the land of remarkable second chances. It's the 1920s, and New Jersey's James Braddock (Russell Crowe) has a promising boxing career and appears to be on the way to a title fight. Married to Mae (Renee Zellweger) and with three young children, Braddock's career is managed by his friend and corner-man Joe Gould (Paul Giamatti). But injuries to Braddock's right hand interfere with his progress, and he loses a series of fights. His status is reduced to a washed-up has-been. When the Great Depression hits, the family falls onto hard times. Braddock has to accept whatever day labour is available unloading cargo on the docks. To maintain light and heat in the family's cramped single-room basement apartment, Braddock is finally forced to apply for social welfare and suffers the ignominy of asking for handouts from former boxing world colleagues. When another boxer pulls out of a bout against title contender Corn Griffin, Joe nominates Braddock as a last minute replacement. Braddock accepts what he perceives as a one-off fight, since win or lose he is guaranteed a small amount of desperately needed money. He unexpectedly wins the fight, re-establishing himself as a contender. Boxing fans, struggling in the harsh economic times, adopt Braddock as one of their own. Much to Mae's consternation, Braddock and Joe start again down the path towards a title showdown against fearsome champion Max Baer (Craig Bierko). Cinderella Man is as much about the world of boxing in the 1930s as it is about the Great Depression. Director Ron Howard, reunited with Crowe four years after A Beautiful Mind, invests plenty of screen time on context, an approach that pays off handsomely. 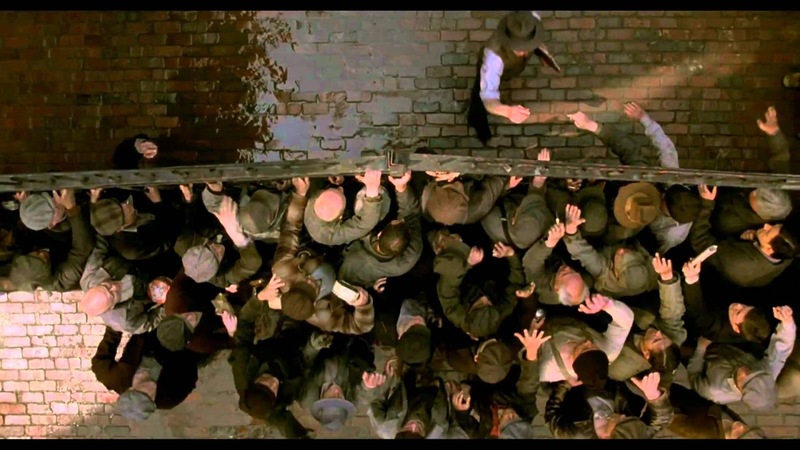 New York straining under the weight of economic ruin, men crushed by the indignity of long-term unemployment, the ranks of the poor swelled by the millions while the wealthy elite quietly assemble in their clubs behind closed doors. Braddock's economic decline is severe and obvious, his family of five free-falling from a comfortable suburban home to a miserable one-room apartment. Braddock makes an acquaintance at the docks, a man whose disintegrating life leads to self-destructive drinking and threats of violence. Others camouflage the misery: Joe maintains appearances, although he is also reduced to selling all his furniture to finance Braddock's comeback. Howard makes stops at a decrepit Hooverville in Central Park, and a poor neighbourhood group birthday party where all the kids share a single cake. The background provides the impetus for Braddock's rise to the top once provided another opportunity at a boxing career. He makes a promise to his son that the family will always stay united no matter the financial misery, and despite Mae's growing apprehension about her man returning to the ring, Braddock answers his calling and re-starts his quest for a championship from the very bottom, earning along the way the adulation of a public recognizing him as a fellow depression-era victim. Cinderella Man's deficiency resides in the saintliness of Braddock. He is portrayed as a man with no faults, buffeted by fate but never giving up hope, always doing right by his family. Outside the ring Russell Crowe has little to do except be good and stoic. This may all be close to true, but a hero without blemishes leaves a void where drama needs to reside. In support, Renee Zellweger plays the concerned and loving wife with few sparks and relatively limited passion. It is left to Paul Giamatti, nominated for a Best Supporting Actor Academy Award as Joe Gould, to inject some humour, personality and edge, and he deploys his brand of smiling world-weariness to good effect. 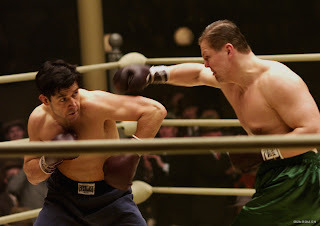 Joe is Braddock's guardian angel, the wind beneath the boxer's wings in and out of the ring, and the relationship between the two men resides at the core of the film. The boxing scenes as delivered by Howard and cinematographer Salvatore Totino are jarring, the intensity at the in-your-face level, the blows to the head and body painful to watch, the sweat and agony spraying off the screen. For his rags to riches story, Braddock earned himself the rather clumsy nickname of Cinderella Man from sportswriter Damon Runyon. The movie is saddled with the same title, which did little to attract movie fans to the box office. Cinderella Man has nothing to do with the clock striking midnight, and everything to do with the dawning of a new day, where opportunity knocks again and destiny stands ready to be seized.